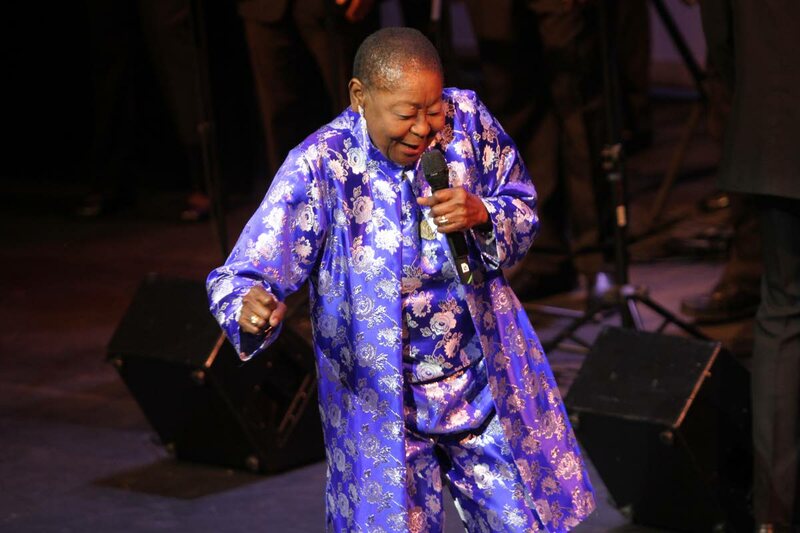 CALYPSO ROSE has been announced as part of the line-up for 2019 Coachella, among a legion of musical giants including Ariana Grande. Goldenvoice, the promoter of the event, said Wednesday night that the big names scheduled to perform at the two-weekend event in Southern California from April 12 to April 14 and from April 19 to April 21 also include Childish Gambino, Chvrches, Diplo, Tame Impala, Janelle Monae, The 1975, DJ Snake, Solange and Weezer. The annual music and arts festival which had its first instalment in 1993 will be held in Indio, California, from April 12 to 21. This is Calypso Rose's first time performing at the festival which is known to bring in thousands of young music and art lovers from all over the world. Bunji Garlin and Fay Ann Lyons-Alvarez performed at Coachella in 2015 and Machel Montano did so in 2016. In an article by Raisa Bruner dated March 27, 2018 on time.com, it was reported that "as many as 250,000 people attended over two weekends of performances and parties." The calypso queen of the world, McCartha Linda Sandy-Lewis, 78, continued to add more accolades to her career in 2018. She kept a busy schedule last year; released a second album and continued touring to sold-out crowds in Europe. In December she received yet another international award, this time a Grand Prix Sacem Award for World Music. The Sacem Grand Prix is awarded to authors, authors-directors, composers and music publishers who are members of Sacem. Among her other achievements is the World Music Album of the Year (2017) at the 32nd annual French music awards, Les Victoires de la Musique. Rose is scheduled to host three concerts across TT on February 28, March 2 and 7 as well as record another album "with a lot of surprises," a release said. Reply to "Calypso Rose listed for Coachella 2019"